injured-at-my-office-party-can-i-sue | Robert W. Elton, P.L. Whether your office is celebrating a huge accomplishment or a holiday,it is all meant to be in good fun. But,what happens if that celebration leads to an injury? Whether it was a slip and fall, fight or some other injury on the premise, you do have legal options for recovering. If an injury is caused by someone’s failure to act (whether it is lawfully or reasonably), you may have grounds to sue that person. 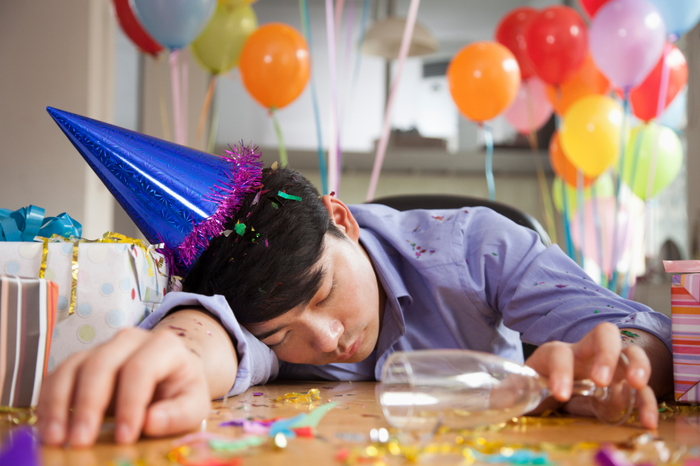 Office parties, for example, especially those that serve alcohol, could fall under a host liability law. The host is liable for all individuals at the party, and if someone is injured, then the host could be at fault. But, host liability is not always something you can use in a civil lawsuit, especially if the injuries were not related to alcohol. If the injuries are caused by a condition on the property, such as a slip and fall outside, then the owner or manager of that property could be held liable for your injuries. In this case, your employer could be liable for your injuries if you were injured at work. It is best to speak to a Daytona Beach personal injury attorney if you are thinking of suing your employer. An attorney can assess your case and see what tort law your injury falls under. If you were drinking and arrested for a DUI, your employer still may be to blame, especially if they allowed you to drink excessively and then get behind the wheel. With decades of professional experience,the team of Personal Injury Attorneys Daytona beach at the Law Offices of Robert W. Elton can help you with your slip and fall or premise liability. Contact the Elton legal team today by reaching us via our website or call us at our office in Ormond Beach, Florida at 386-274-2229. Next post: Understanding the Keurig Recall: Can You Sue?